New book, 64 pages, 300+ colour photos. 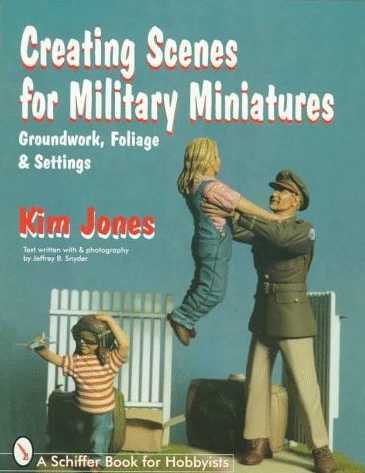 Once you've finished your latest military miniature, you'll want to display it at its best. You could simply attach it to an attractive base, but just imagine posing it in a slice of terrain in which your particular soldier fought. Kim Jones shows you in step-by-step, close-up photographs how to do just that.